1D vans. . Wallpaper and background images in the One Direction club tagged: one direction. 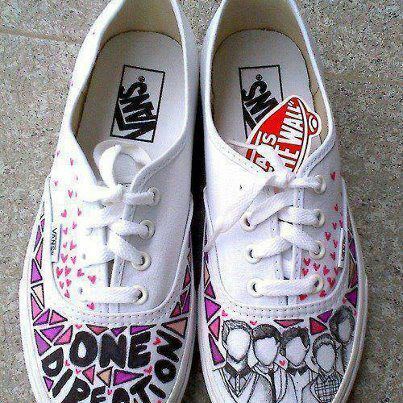 This One Direction fan art contains chaussure de course. There might also be chaussure de bowling.